Are you a biker? Do you know a biker? 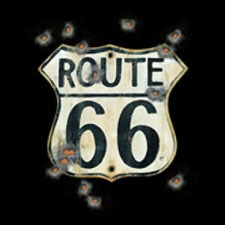 I was recently sent a Route 66 t-shirt from Hot Biker T-shirts. My first thought was, Get your kicks on Route 66! I was highly impressed with how quickly my shirt arrived. The shirt is super soft, comfortable and high quality. I can see this shirt lasting a very long time. Hot Biker T-shirts has a great selection of Hot Biker T-Shirts for both men and women! My husband is very particular about how his shirts fit and how they feel. He really likes this t-shirt and I can see myself purchasing more for him. There are a few that I know he would love! I love the fact that they are great quality and they wash very nicely.